American Society for Cell Biology, American Society for Biochemistry and Molecular Biology, Association of South-Eastern Biologists, Federation of European Biochemical Societies, Royal Society of Biology, Society for Experimental Biology, International Society for Computational Biology, Society for Molecular Biology and Evolution, American Crystallographic Association, Belgian Society of Biochemistry and Molecular Biology, International Mass Spectrometry Foundation, International Union of Crystallography, European Society of Human Genetics, European Proteomics Association, European Molecular Biology Organization, African Society for Bioinformatics and Computational Biology, American Mass Spectrometry Society, Australian and New Zealand Mass Spectrometry Society, Australasian Proteomics Society, Austrian Proteomics Society. Proteomics is the newest and the most discussed topic in the field of Structural Biology. It deals with determining the structure and function of proteins- the building blocks of the human body. It found its importance after the introduction of the Human Genome Project. Almost every process that occurs in our cells – from the metabolization of simple sugar to the division of cells – is dependent on proteins for smooth operation. Genomics is the study of structure, working, mapping and alteration of genomes. The entire arrangement of DNA- the information centre of our body is known as genomics. Proteomics and Genomics are interrelated. Proteomics involve the study of structural determination of the body whereas Genomics involve the study of genetic makeup of the body. American Society for Cell Biology, American Society for Biochemistry and Molecular Biology, Association of South-Eastern Biologists, Federation of European Biochemical Societies, Royal Society of Biology, Society for Experimental Biology, International Society for Computational Biology, Society for Molecular Biology and Evolution, American Crystallographic Association, Belgian Society of Biochemistry and Molecular Biology, International Mass Spectrometry Foundation, International Union of Crystallography, European Society of Human Genetics, European Proteomics Association, European Molecular Biology Organization, African Society for f and Computational Biology, American Mass Spectrometry Society, Australian and New Zealand Mass Spectrometry Society, Australasian Proteomics Society, Austrian Proteomics Society. Biomolecules are very small to see in detail even by most cutting-edge light microscopes. The methods that the structural biologists use to determine their structures in general involve the measurements on huge numbers of identical molecules at the same time. Some of the best methods include X-raycrystallography, cryo-electron microscopy and nuclear magnetic resonance. Apart from these methods there are many additional methods through which 3 D Structure Determination can be done. Drug designing is an inventive process to find new medication centred on the knowledge of biological target. Drug is most commonly a small molecule that inhibits or activates the function of a biomolecule, which in turn outcomes in a therapeutic benefit to the patient. Drug design commonly but not essentially relies on computational techniques. This type of modelling is often mentioned to as computer-aided drug design. A biomarker is an attribute that can be studied as an indicator of pathogenic and biological operation along with pharmacological retort to a therapeutic involvement. They indicate either normal or diseased activity in the body. Biomarkers are specific molecules, genes, gene products, hormones, cells or enzymes. A database is an organised collection of data. As a result of enormous research which is being done in Structural biology massive data has been produced. In order to assemble the data in a catalogued manner, bioinformatics databases are used. Various databases have been created to store biological data, such as sequence databases, structure databases, signalling pathway databases, etc. A database is a structured collection of data. In the field of structural biology enormous research is being done and as a result massive data is being produced. In order to pile the data in an organized manner, bioinformatics databases are used. Various databases have been created to store biological data, such as sequence databases, structure databases, signalling pathway databases, etc. In the field of structural biology, the mainly used databases are Protein Data Bank (PDB), Electron Microscopy Data Bank, Protein Structure Classification Database (CATH) and Structural Classification of Protein (SCOP). 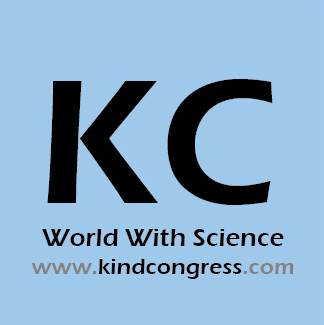 Structural Biology 2018 offers its heartfelt appreciation to Management Committee Members, dexterous of field, various outside experts, company representatives and is obliged to other eminent personalities who interlaced with ConferenceSeries and supported the conference in every aspect, without which the conference would not have been possible. Your rejoinder is our inspiration; keeping this motto in mind and witnessing the triumph of Structural Biology 2018. 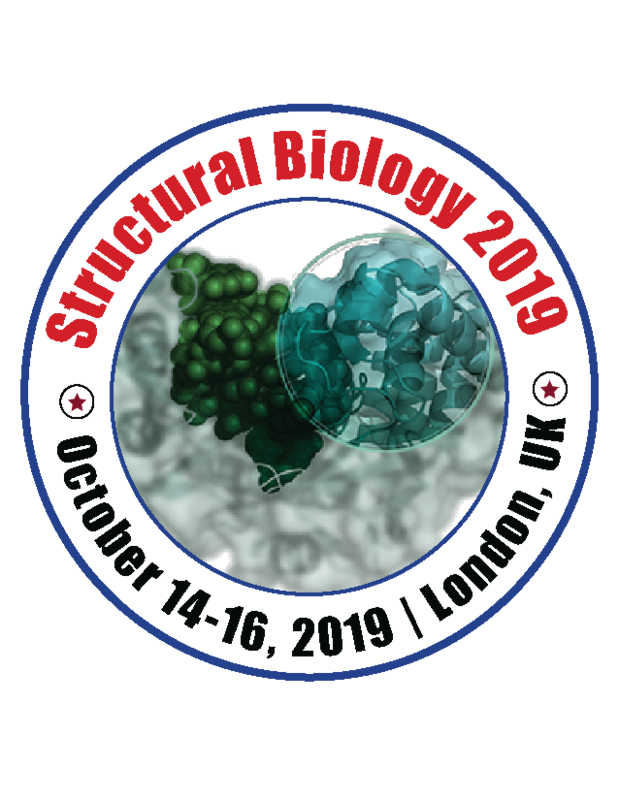 Would like to announce the commencement of the “18th International Conference on Structural Biology” to be held during October 14-16, 2019 London, UK. We welcome all the eminent researchers, students and delegate participants to take part in this upcoming conference to witness invaluable scientific discussions and contribute to the future innovations in the field of Structural Biology Research.